We just want to explain how you set up and login to your driver app on your smart phone or tablet. Select the record you want, in the example below the drivers name is Jamie Hibbert. 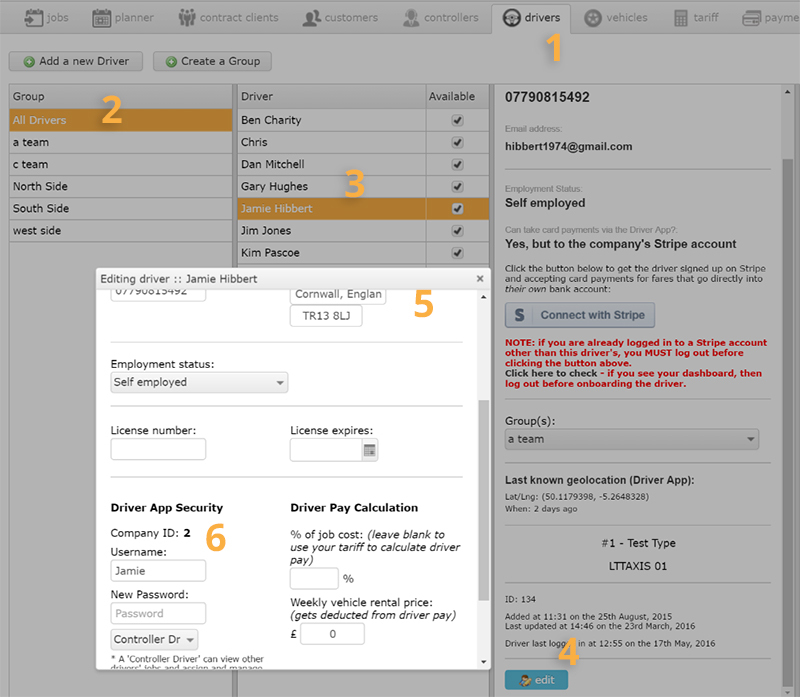 When you login to the driver app it will ask you for company id, username and password, so please keep them safe and memorable.